Carob is a legume that is a healthful alternative to chocolate made from the dried pulp of the carob tree. It is also commonly called honey locust or St. John’s Bread, as it was consumed by John the Baptist while he was in the wilderness. The tree bears reddish-brown carob pods that are ground into carob powder. Carob powder can be used one to one for cocoa in brownies, cakes and frosting, candy, cookies, fudge, ice cream, and pudding. Forms: Comes in powdered form, drops, or chips. Carob powder comes raw or roasted. I recommend roasted since raw can bother the digestive system. Storage: Best stored in a sealed container in a cool or cold, dry place. 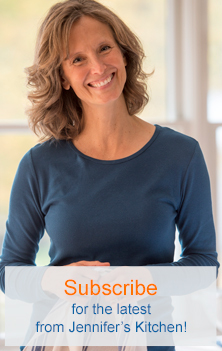 Tips: When replacing chocolate with carob powder in a recipe, use 3 tablespoons of carob powder plus 1 tablespoon of water for every ounce of unsweetened chocolate. Where to find it: Can be purchased from some major grocery stores, natural food stores, or online. Forms: You can purchase carrots fresh, frozen, canned, or dried. Selecting: When selecting fresh carrots, choose those that are crisp, firm, and not too large. Avoid those that have soft spots. Storage: Store fresh carrots in the refrigerator. To maintain crispness, remove tops before storing carrots. Where to find it: Can be purchased from most grocery stores. A rich, cream-colored nut that is a good source of magnesium. Forms: Cashews come raw or roasted in whole pieces, large pieces, small pieces, and very small pieces. Whole cashews are most expensive. When using raw cashews in a recipe, choose large or medium large pieces as they tend to have the best flavor. Selecting: Buy cashews from a supplier with a high turnover to avoid nuts that are possibly rancid. Choose cashews that are creamy colored and avoid those that have dark spots. Storage: All nuts are best stored in a cold, dry place, such as in a sealed container in the freezer. Tips: It is best to wash raw cashews in hot water before using. This can be easily done in a fine-mesh colander. Cauliflower is a creamy-white vegetable in the brassica family, along with broccoli, kale, and collards. Forms: Cauliflower can be purchased fresh or frozen. Selecting: Choose cauliflower heads that are firm and white without any brown spots. Avoid heads that have yellow leaves. Storage: Store fresh cauliflower in the refrigerator in a container or bag to maintain freshness. A type of celery that has been cultivated for it enlarged root. Forms: Celeriac can be purchased fresh. Selecting: Choose small, firm roots that are heavy for their size. Storage: Store celeriac in a container or bag in the refrigerator. Where to find it: Can be purchased from most major grocery stores. A light green vegetable. The long edible stalks and leaves. Forms: Celery can be found fresh, dried, or as celery salt. Selecting: When selecting, choose celery with firm, crisp stalks. Avoid wilted stalks or those that have leaves that have begun to yellow. Storage: Store fresh celery in the refrigerator in a container or bag to maintain freshness. A seasoning made from ground celery seed and salt. Tips: Celery salt has a very strong flavor and can easily be overpowering if used too liberally. Where to find it: Can be purchased from most grocery stores, but is often less expensive when purchased online. A mild, aromatic herb of the parsley family. The leaves are dark green and curly. Both the leaves and the root are edible and have a mild anise flavor. Forms: Chervil can be purchased either fresh or dried. Selecting: Choose bunches of chervil that have vibrant green leaves and crisp stems. Storage: Place cut ends of fresh chervil in a jar of water, loosely cover the leaves with a plastic bag and store in the refrigerator. Change water every 2 days. An herb in which both roots and leaves can be used. The leaves are slightly bitter and are often used in salads or cooked as greens. Radicchio is a type of chicory. Many coffee substitutes are made from roasted and ground chicory roots. Forms: Can be purchased as fresh leaves or the dried and roasted root. Selecting: Choose leaves that are crisp and fresh with no yellow spots. Storage: Store fresh chicory in the refrigerator in a container or bag to maintain freshness. An herb with thin, hollow green stems and a mild onion flavor. 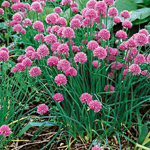 Forms: Chives can be found fresh or dried. Selecting: Look for thin and crisp green stalks with no signs of wilting or yellowing. Storage: Store in refrigerator in a plastic bag. Where to find it: Can be found in the produce section of most grocery stores. An herb used in salsa and other Mexican dishes. Fresh cilantro has wide, lacy, green leaves and is easily confused with flat leaf parsley, which has a similar appearance, but a very different flavor. Also called fresh coriander or coriander leaves. Forms: Can be found fresh or dried. Selecting: Choose bunches with fresh dark green leaves. Storage: Store in the refrigerator in a plastic bag. For longer storage, place cut ends of fresh cilantro in a jar of water, loosely cover the leaves with a plastic bag and store in the refrigerator. Change water every 2 days. Tips: Cilantro can easily be distinguished from flat leaf parsley by its distinctive aroma. Where to find it: Can be purchased from most grocery stores. Be sure not to confuse with flat-leaf parsley. Cocoa powder is a brown powder that is produced by grinding cacao beans and removing the cocoa butter. Cocoa powder does provide some antioxidants, but it also contains many harmful (and potentially addictive) chemicals, including phenylethylamine, theophylline, theobromine, and caffeine. If you want to prevent these health problems, avoid cocoa powder and consider carob powder. Carob is a much healthier option. Where to find it: Carob powder can be purchased from some major grocery stores and online. The nut of the coconut tree. Forms: Coconuts can be purchased in many forms, including whole green, whole mature, fresh meat (the freshly extracted white insides) or dried meat. The dried meat of the coconut is usually sold shredded or flaked/chipped and either sweetened, unsweetened, or toasted. Selecting: Buy coconut from a supplier with a high turnover to avoid nuts that are possibly rancid. Choose coconut that is bright white. Storage: All nuts are best stored in a cold, dry place, such as in a sealed container in the freezer. Whole coconuts can be stored at room temperature for several months. Where to find it: Whole nuts can be purchased from most major grocery stores. Flaked or shredded coconut can be purchased from most major grocery stores, natural food stores, or online. A cream made by infusing coconut meat with water or coconut milk. Selecting: For the best flavor Look for a brand that contains the fewest additives. Storage: Once opened, canned coconut cream should be transferred to another container and refrigerated. Opened cream spoils quickly and should be used within a few days of opening. Tips: The thick cream that separates to the top in a can of coconut milk can also be used as coconut cream. Do not confuse with coconut water, coconut milk, or creamed coconut. Where to find it: Can be purchased from most major grocery stores (in the Asian foods section), natural food stores, or online. A milk made by squeezing coconut meal through a fine strainer. Coconut milk is not the liquid that is drained from the coconut after opening it. Canned coconut milk adds richness and flavor without adding “bad” fats. The fat in coconuts is a medium-chain fatty acid unlike the fat in butter and cream, which is a long-chain fatty acid. Studies suggest that these medium-chain fatty acids stimulate the thyroid gland and thus engage the metabolic rate as opposed to blocking it, as most oils do. When substituted for other fats in diet, coconuts promote weight loss. Forms: Canned coconut milk comes in light or regular (full fat). “Lite” coconut milk is not recommended for four reasons. 1. You are paying for water. 2. “Lite” milk is not as rich, creamy, or flavorful. 3. “Lite” milk does not contain the same valuable nutrients as full-fat milk. 4. “Lite” milk is usually of inferior quality. Selecting: Canned coconut milk varies widely from brand to brand in quality and flavor. Look for a brand that contains the fewest additives for the best flavor. Upon opening a good brand of coconut milk you will see a thick cream on top and a thin, watery milk on the bottom. Storage: Once opened, canned coconut milk should be transferred to another container and refrigerated. Opened milk spoils quickly and should be used within a few days of opening. Tips: For best results, canned coconut milk should be lightly blended in a blender before using. Stirring by hand usually does not mix the milk well enough. Canned coconut milk often separates in the can; therefore, it is usually necessary to blend the product before using. Do not confuse with coconut water, coconut milk, or creamed coconut, as they are all different ingredients. A milk made from coconut and thickeners. Coconut milk is not the liquid that is drained from the coconut after opening it. There are two brands of this type of coconut milk that we know of: Silk Coconut Milk and So Delicious Coconut Milk. Forms: Coconut milk in a carton comes in vanilla and original. Tips: Do not confuse with coconut water, coconut milk, or creamed coconut, as they are all different ingredients. Where to find it: Can be purchased from most major grocery stores (in the refrigerated milk section), natural food stores, through a co-op, or online. An oil extracted from coconut. Where to find it: Can be purchased from some major grocery stores, natural food stores, through a co-op, or online. The clear or opaque liquid from the immature coconut. Do not confuse with coconut milk, coconut cream, or creamed coconut. Caffeine-free coffee substitutes are usually made from a mixture of grains and herbs. Forms: Coffee substitutes come in powdered or granulated form. Selecting: The varying brands of coffee subs taste very different from each other, so in selecting one that you like, be sure to try a wide variety of brands and flavors. Where to find it: Teeccino, Roma, Dandy Blend, Pero, and Cafix can be purchased through Amazon and some health food stores. Corn starch comes in organic and non-organic. Because of the risk of GMO foods, I recommend organic cornstarch. Organic cornstarch can be purchased through Amazon. A tiny pasta with a light and fluffy texture. Cous cous is made from coarsely ground semolina wheat and is often used as rice would be used. Forms: Cous cous is available as white (refined) cous cous or whole grain and is usually sold in the pre-steamed form. To prepare the pre-steamed variety, bring 2 cups of water (or seasoned water) to boil, stir in 1 3/4 cup cous cous, cover with a tight-fitting lid, and allow to stand for 5 minutes. Fluff with fork before serving. Storage: For short periods, store tightly sealed in a cool, dry place. For longer periods, store tightly sealed in the refrigerator or freezer.